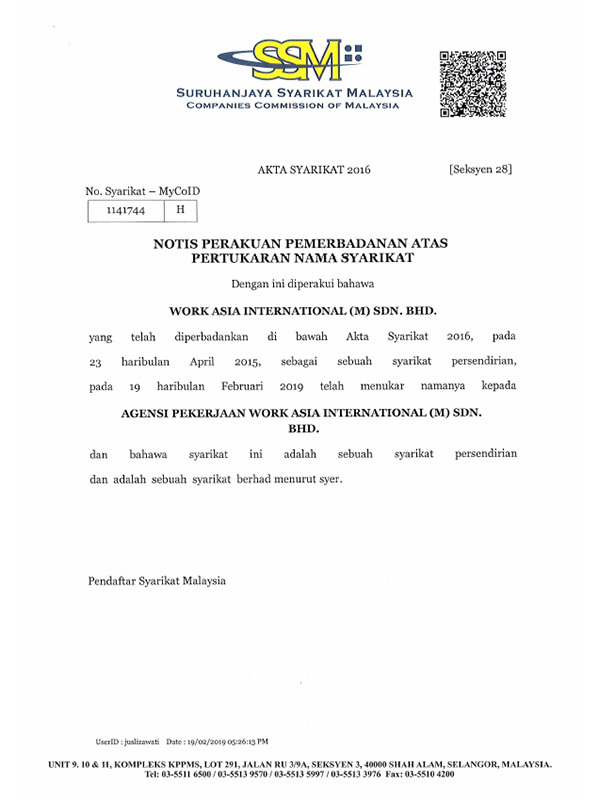 Agensi Pekerjaan Work Asia Malaysia (M) Sdn. Bhd. (formerly known as Work Management & Consultancy Services Sdn Bhd), is a one-stop integrated manpower services provider for recruitment and HR consultancy in Malaysia. Since it’s inception in 2015, it has strived to provide clients with professional service in human resource management and foreign manpower placement. The company keeps huge pool of professional and skilled workers for different industries. 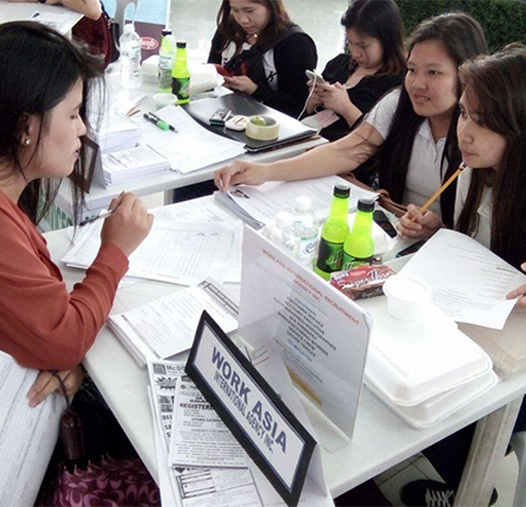 Currently, under the umbrella of Work Asia International Recruitment Agency, Inc. headquartered in Philippines, the company has deployed over nine hundred skilled and professional workers all over Malaysia to manufacturing, service, IT, healthcare, construction, and hospitality industry. To date, the company prides itself in being one of the most sought after manpower suppliers in Asian countries such as Singapore, Brunei, Japan and Middle East countries like Kuwait, Jordan, Bahrain and Kingdom of Saudi Arabia. To form professional, enthusiastic and innovative team, dedicated to providing professional consulting and management services that help our customers become more productive and profitable. To be recognized as an impactful, innovative and efficient consultancy for foreign workers in Malaysia. Agensi Pekerjaan Work Asia Malaysia (M) Sdn. Bhd.